From legendary director Ridley Scott comes a gripping tale of human strength and the will to survive. 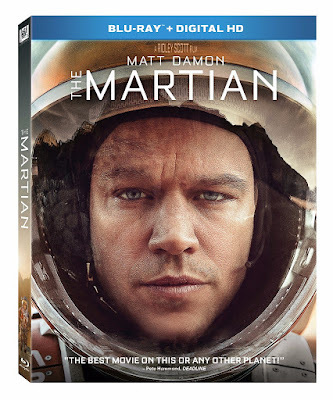 During a mission to Mars, American astronaut Mark Watney (Matt Damon) is presumed dead and left behind. But Watney is still alive. Against all odds, he must find a way to contact Earth in the hope that scientists can devise a rescue plan to bring him home. Based on the best-selling novel by Andy Weir, The Martian provides a realistic glimpse into life in outer-space that will have you on the edge of your seat! In addition to wowing audiences around the world, the film is one of best reviewed of the year and has been named one of the best movies of the year by such groups as National Board of Review, which also awarded top honors to Ridley Scott for Best Director, Matt Damon for Best Actor and Drew Goddard for Best Adapted Screenplay. The 3D Blu-ray, Blu-ray, and Digital HD release will have more than 90 minutes of special features including an exclusive newly produced in-world retrospective starring Jeff Daniels, Chiwetel Ejiofor, and Sean Bean covering the “true” story behind the daring rescue seven years after the events of the film occurred. 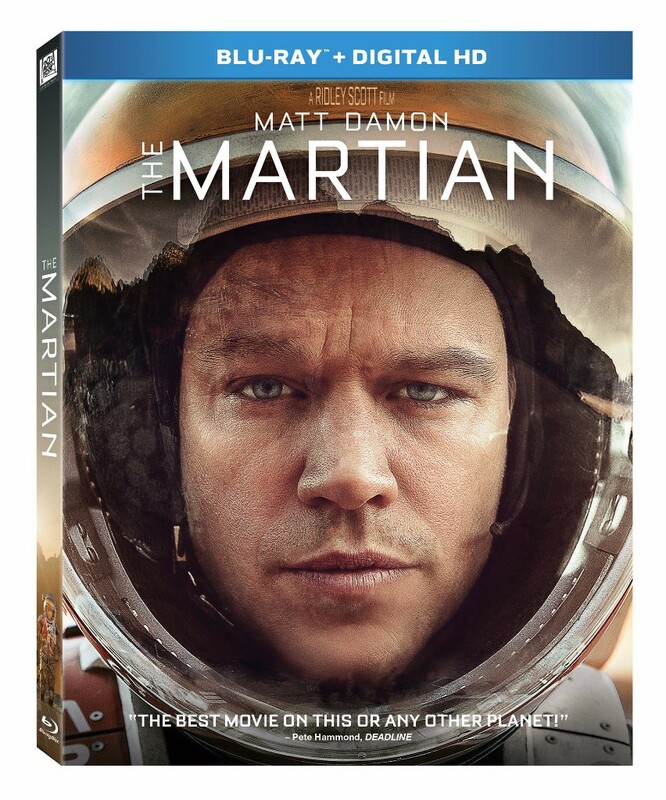 The Martian also includes two making of documentaries, a gag reel, and more. Now you can become part of the universal phenomenon that has taken the galaxy by storm in the comfort of your own home.